Sound systems are the heart of any event- be it a party, conference, meeting or even a small get together of close family and friends. It is fairly obvious to everyone who has ever organized such an event that sound system rental is the most economical and logical way of doing this. When it comes to Sound System Rental, Dubai is a major hub and renting sound systems is an old practice here. Especially with the presence of companies like Techno Edge Systems LLC for such purposes. However, what most people do not know is that there are certain things which need to be kept in mind before renting sound systems and related equipment. One major criteria which need to be sorted out first is the exact location of the event. 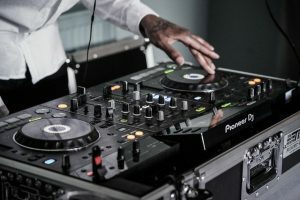 Whether the event is being held indoors or outdoors and the size to the gathering, the size of the area which people would occupy and other details specific to the venue have to be decided before you even think of deciding upon the sound system because all these scenarios would help in deciding the best system for use during that event. Where exactly in the decided venue will you be setting up the actual output equipment (speakers etc.) and the sound console or mixer. Most people want the mixer to be hidden away inconspicuously, while some want it to be easily accessible. Taking this decision beforehand will save a lot of setup time and also enable the setup team to carry any special equipment they might need for this purpose like extra extension cords, or longer cables etc. What will be the major usage of the equipment? Will it be used only for speeches or the occasional announcement, or is there a music event where people will be performing, or is there going to be recorded music being played to keep the audience involved? The answers to these questions are very important since an event with only speeches will not require very high-end equipment since most normal speakers will be able to cater to the normal variations in speech. However, if it is a live musical show, the vocal and acoustic range will be very varied, and hence, in order to provide a good experience to your audience, you will need equipment which can match up to the challenge. A recorded event designed to just keep the audience involved will need speakers which are somewhere in the middle. Now that you know what you need to keep in mind while renting sound systems, just log on to our website www.laptoprentaluae.com or Call us @ +971-54-4653108 and tell us your requirement. We’ll get right in touch with you! PreviousWhy Video Wall Rental Should Be Your Next Marketing Gimmick? NextHow to Make the Best Use of Video Wall Rental in Dubai?